The passing of John Hughes is such sad news. The man who made my 1980s livable with classics such as 'Pretty in Pink', 'Some Kind of Wonderful', 'Sixteen Candles' and 'Ferris Bueller's Day Off' died yesterday in NYC, aged 59. Too young to die. Always young at heart, John Hughes understood teens better than they did themselves. His movies spoke to the 80s generation like no other. The majority of teen movies at the time were like 'Porky's' or 'Losin' It' (shame on you, Tom Cruise!) - gratuitous, banal & heartless. Hughes took a giant leap of faith to tell stories that had soul, raw emotion & were true to life. 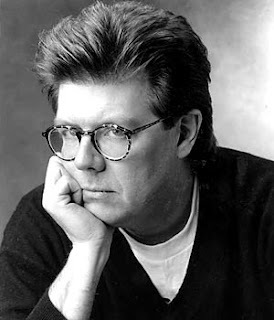 John Hughes also understood how important music was to the lives of teens - to anyone, really - and his films always featured the best, brightest bands of the era. Funny that 'Ferris' was one of the few Hughes movies that never did feature an official soundtrack release. He gave the world of pop culture so very much & I know that I'm not the only one who is eternally thankful. He'll be dearly missed.